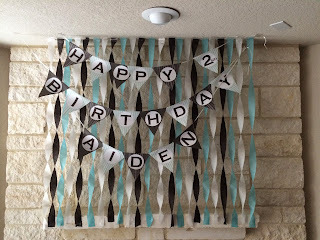 Home DIY 2 year old Birthday Brunch! 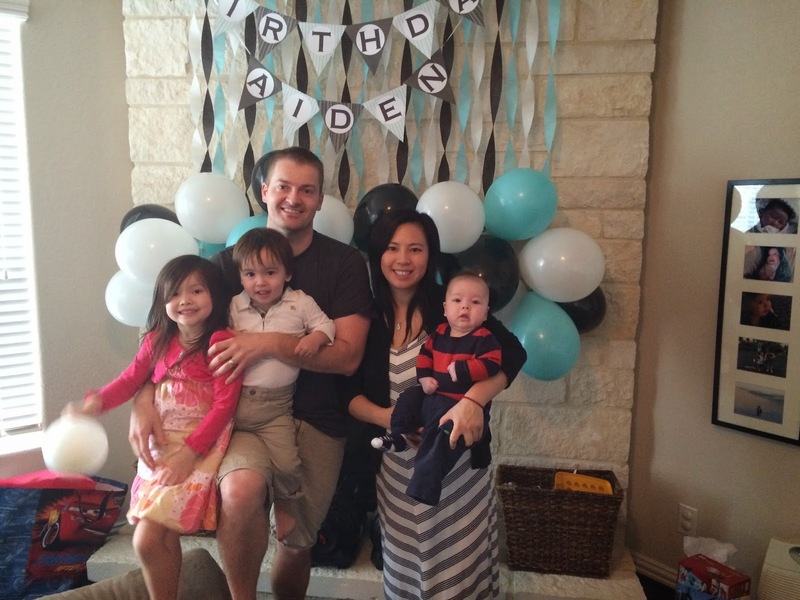 2 year old Birthday Brunch! 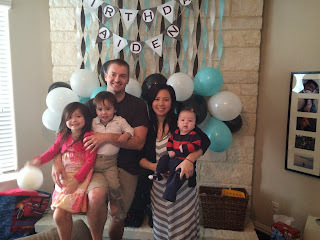 We celebrated my son's second birthday by inviting our friends and families over for brunch this past weekend. 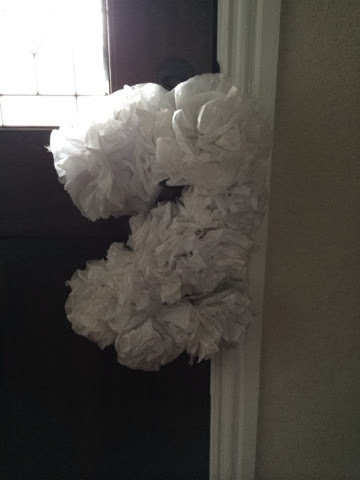 It was really fun and the colors I used were black, white and teal. 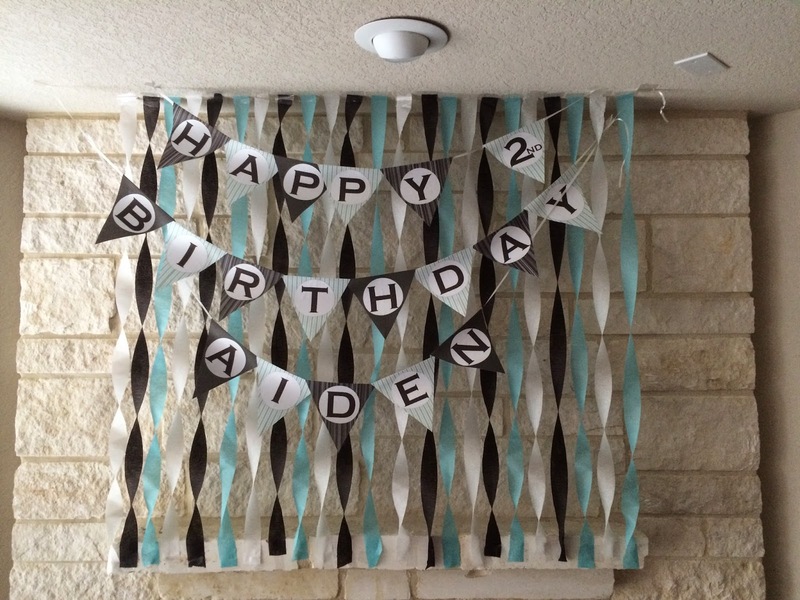 I made a couple of DIY party decorations to put up around the house: A number 2 with white tissue pom pomss and Happy 2nd Birthday pennant to hang over black, white and teal streamers on the mantle paired with black, white and teal balloons. For the food: croissants (from costco), honey baked ham (quarter ham), muffin sized zucchini quiche (recipe), deviled eggs, french toast, fruit skewers (grape, strawberry, pineapple, and blackberry) and a cookie bar (sugar cookies with royal icing (recipe found here), snicker doodles (recipe), chocolate chip (nestle toll house recipe), and oreo cookies staked like a cake. Drinks: Starbucks mocha frap, milk, chocolate milk, mimosas, beer, and water. Favors: Chocolate Chip cookies in mason jars. 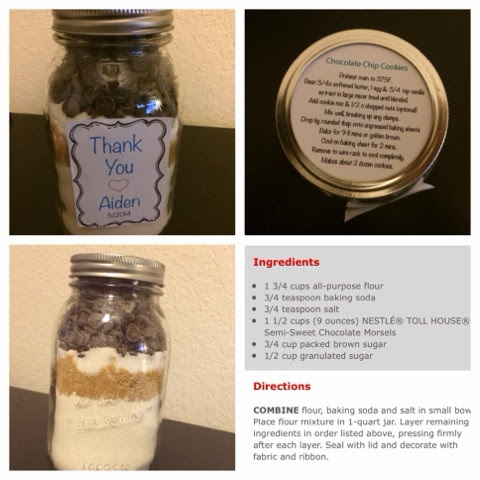 I made a Thank You love Aiden label for the front and printed the directions for the cookies to fit on top the lid.